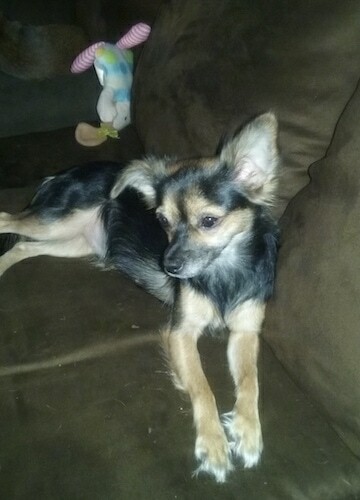 "My female is a Pomeranian and Chihuahua mix (Pomchi). Her name is Miata~Mae. This is her at 1 1/2 years old. 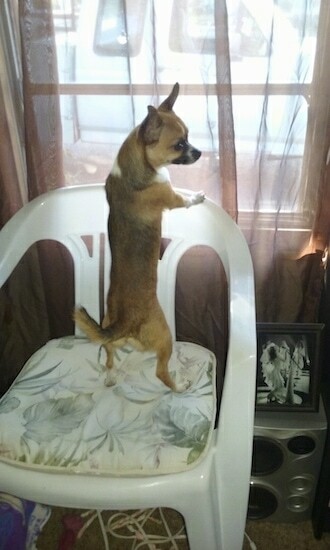 Her mate is a Chihuahua and Dachshund mix (Chiweenie) and his name is Macchiato. He is almost 2 years old. 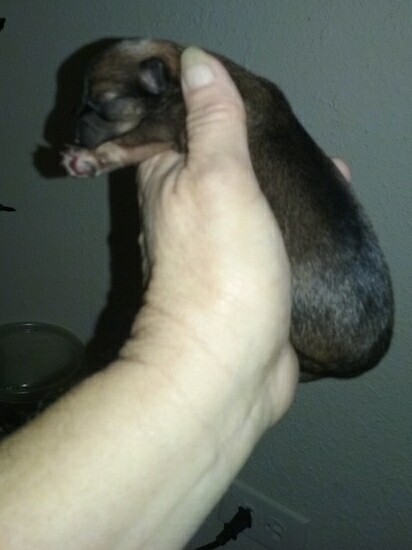 My Pomchi had puppies 4 days ago. 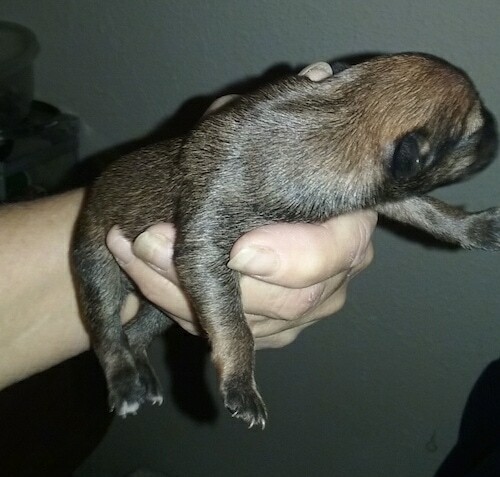 She gave birth to 5 pups, but sadly only one was alive. The rest were stillborn and had their intestines on the outside of their bodies. I'm just heartbroken and traumatized over this. I hope I did the right thing by immediately taking them out of sight of the mother. She and the one baby are both fine. The mom is very protective, but very loving to her baby. I'm thinking after she heals it would be good to have her fixed as I couldn't stand to see her go through that again. 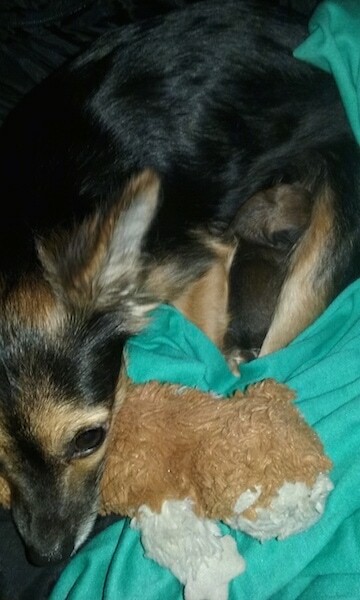 I was told due to so many puppies her first time and the size of them they possibly didn't have enough room in the mama to develop. Could this be true? If not what would cause the deformity? I have never had an animal have babies so this was my first time and definitely not what I expected. The mama is a tiny little thing and is 1 year and 9 months old. I have gone to websites and read everything I could so I could help her have healthy babies and a good delivery and I've never seen or heard of anything like what I saw. I'm just thankful one lived so she could get some satisfaction out of being a mom. At first she wouldn't take to it. 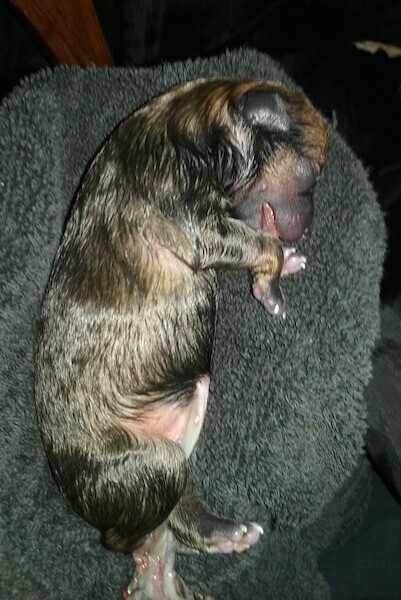 She kept trying to nudge it away and bury it under the blankets, but once it started to nurse she relaxed and adjusted well. 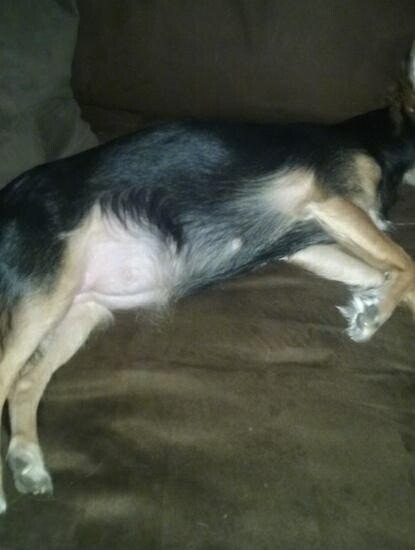 The puppy that survived is a chubby little thing. I named him Chevy."